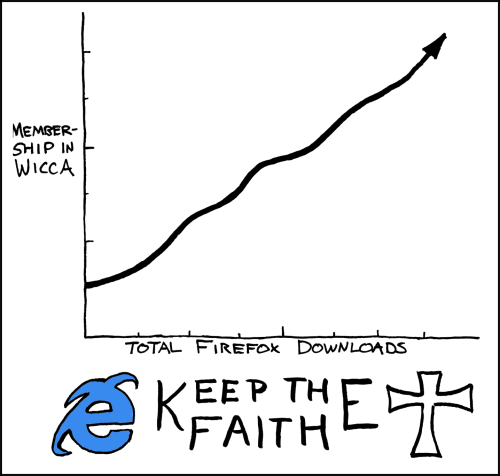 xkcd: Firefox and Witchcraft - The Connection? ThisadpaidforbythecounciltopromoteMicrosoftandChristianity. Remember, The Bible is Closed Source.